Tempe, Ariz. [26 May, 2016] — Artesyn Embedded Technologies today released a new 1600-watt power supply, the HS-OCS Series, designed for hyperscale data centers such as those using the Open Compute Project specifications. The new power supply offers a compact, customizable server rack power source with an optional battery pack to provide the local energy storage (LES) designed as part of the Open Cloud Server hyperscale system that Microsoft donated to the Open Compute Project. Integrating a battery backup into the rack power supply eliminates the need for uninterruptible power supplies (UPS) at the facility-level. 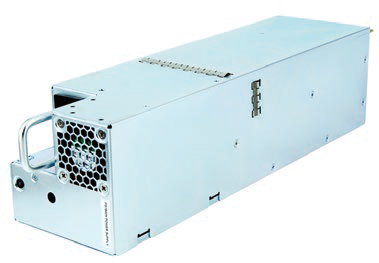 Offering up to 94 percent peak efficiency, users can connect up to six of the power supplies in parallel with active load sharing from 35 to 100 percent of the full load. The units offer active power factor correction (PFC), inrush current control, Class A EMI compliance and monitoring capability using the industry-standard PMBus.